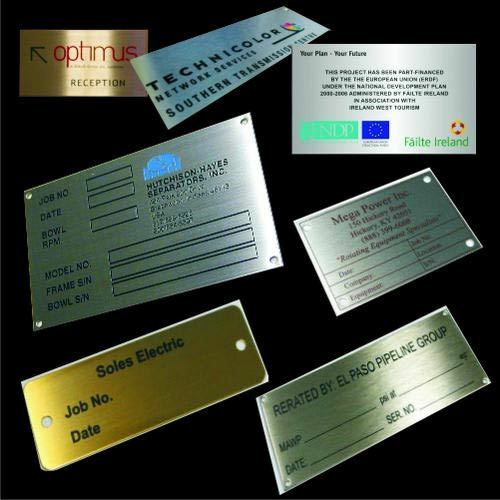 We manufacture and service-provider a wide range of Metal Signages and Name Plates for our esteemed customers. In addition to this, we also provide Printing and Graphic Services to our esteemed customers. Our organization is engaged in providing Metal Signages, Name Plates & Advertising Display. These services have been appreciated by our clients for their unmatched quality standard. We have developed a huge client base across the nation. Our service are providing in accordance to the clients provided specifications and detail. Our team ensures to execute the services within an estimated time frame without any flaw. We are basically looking for queries from Domestic Markets.